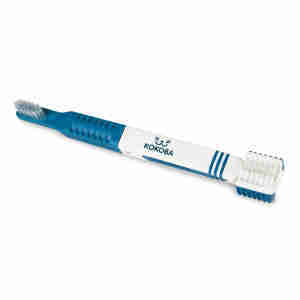 The Kokoba 3-in-1 toothbrush has been especially designed to make cleaning your dog’s teeth quick and easy. Combining three key features, the Kokoba 3-in-1 toothbrush gives your dog’s mouth a thorough clean to help maintain good oral hygiene. Polypropylene bristles on the inner faces help scrub away food remains, which can otherwise be a contributing factor in dental plaque and tartar. The brush also has rubber pads that can be used to massage into your pet’s gums to increase blood circulation in the area, keeping them healthy and strong. 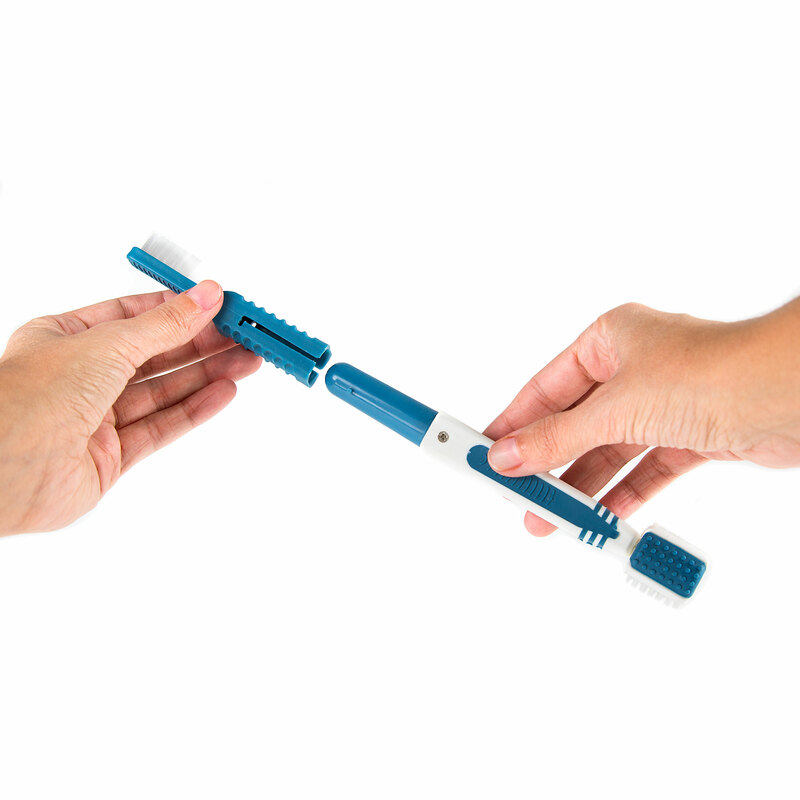 At the other end of the toothbrush, there's a removable brush which you can use to focus on cleaning your dog’s back teeth. Either leave it on the main brush or twist it off and use it as a thimble over your finger. rubber pads which gently massage your dog’s gums to stimulate blood circulation. Good oral hygiene is essential in all dogs and looking after your four-legged friend's teeth and gums should begin at a young age. Like humans, dogs' teeth can have a build of plaque and tartar if not cleaned regularly. Plaque and tartar carry harmful bacteria which can travel to their stomach and kidney, weakening their immune system and causing underlying health problems. The Kokoba 3-in-1 toothbrush can help you thoroughly clean your pet's mouth, including removing food scraps from between their teeth. If you do notice your pet gets recurring cases of tartar or plaque, it's advisable to speak to your vet to rule out any possibilities of infection. Did the job and cleaned the dogs teeth. She liked it.